I think I mentioned before that we did not save the tags for most of our plants and this makes it hard to identify them later. However I have been doing a bit of research and believe I have identified a couple more of the cacti/succulents. The image above is of Cleistocactus hyalacanthus. 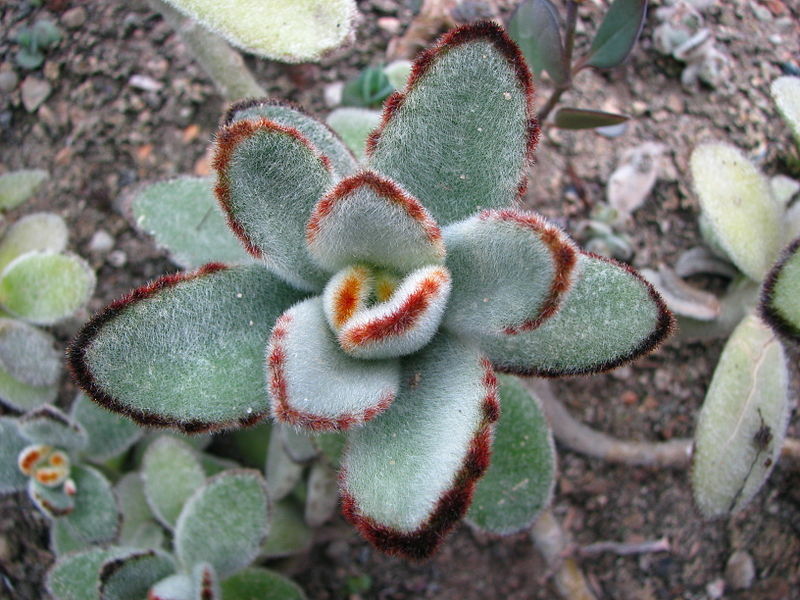 I have been reading up on the Kalanchoe and I can grow many more plants from the mother plant. Here, in the image below, are some of the baby plants that can be harvested and repotted. Can you see them tucked into the bottom of the leaves? We have been converting our front and backyards to drought tolerant landscapes. The front yard has a low flow drip sprinkler system. Happy to have something that is low maintenance with our rock ground cover, pavers and drought tolerant plants. 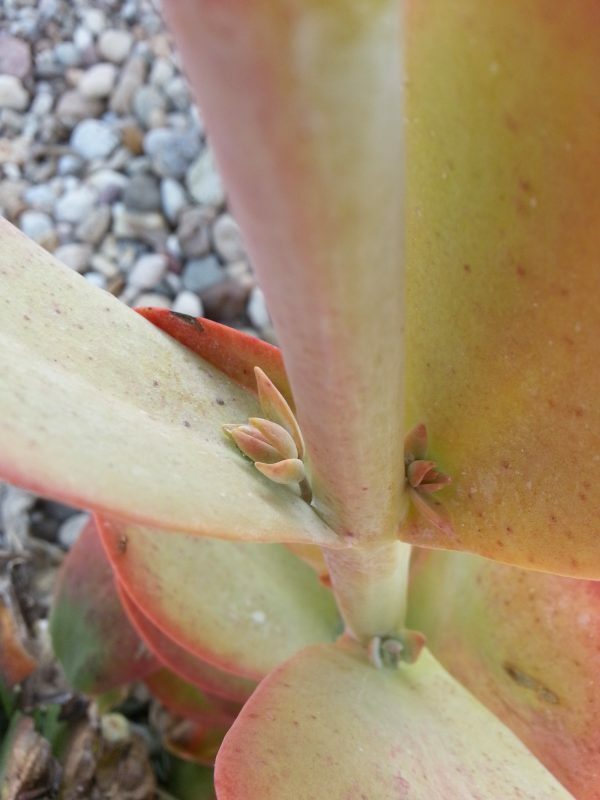 This entry was posted in Blogging, California, My Life, Nature and tagged # Drought tolerant landscape, #1linerweds, #Cactus, #Flowering cactus and succulents, #Succulents, #Wonder, New gardener on March 15, 2017 by Deborah Drucker. The magical things quote is one of my all time favorites. And these plants certainly are magical. Dessert cabbage, flapjacks and pancakes, does that mean you can eat them? Even if you can’t they’re still pretty cool!